The following day, as usual, he writes to his wife a new postcard, saying “Yesterday very pleased for the telegram. Seen a beautiful church and the Graveyard, of which I bought two pictures. Today seen the most beautiful painting by Raffaello, called Santa Cecilia. Now in the end the rain has come, wasting our tour and visiting programme. Tomorrow it’s a working day. At 5,30 leaving to Ravenna, where there’s a lot to see but nothing to eat; in the evening leaving Ravenna and arriving in Florence at night. Food here is almost too good. There’s really nothing to worry about, for us.” Freud only paid a short visit to Bologna, before leaving to Ravenna and eventually staying a little longer in Florence. There is no other document of evidence related to Freud’s presence in town, therefore we assume that he visited Bologna in private. These two letters, which actually sound very private, are the only written report he gives to his family about that. His younger brother Alexander is, in this occasion like in others, his faithful travel buddy. Freud, who was a passionate traveller, used to have a holiday period between August and September (he’s in Bologna on 1st and 2nd September). In the summer of 1895 for the first time he took a trip for pleasure only; it should be noted that he was afraid of journeys by train and this is why he made them only as a mature man, after he managed to cure his phobia thanks to the practice of self-analysis. From these letters we can understand how much is Freud, as a tourist, a curious and careful observer of places and landscapes, loves to try local food and hotel comforts, devotes part of his tour to choosing souvenirs; he plans his journeys in a very accurate way, he studies manuals and books about the towns he’s going to visit; the Beadeker guide is for him, like for many tourists of his time, a very practical travel handbook allowing him to plan the tour directly on the spot. 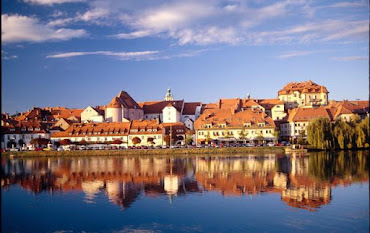 To Freud, travelling means not only, as he himself admitted, escaping temporarily from his family, but also having very useful occasions to collect new ideas for his theories. Some of his works were actually born this way; he writes to his wife: “The many beautiful things I’ve seen are certainly bearing, sooner or later, the fruits of I don’t know what”. In one photo Sigmund Freud is pictured inside his house in Vienna, probably in a room of the studio (2). On the wall behind him there are a few photographs, which by a closer look can be clearly recognized. They are all pictures of Italian monuments and sights that Freud had bought in the several places he visited. We can see sights from Venice, Ravenna, monuments from Florence and Bologna. On his left, we can see the two towers of Bologna and over his head two details of funeral monuments belonging to the Certosa Cemetery (1 and 3). As he writes to his wife, the famous psychoanalyst, or better the founding father of psychoanalysis, has gone to the “Graveyard” and we can suppose that the “beautiful church” he mentions is actually the San Girolamo church in the Certosa. The “two photos” mentioned are the same ones of the picture (2). These photographs were taken by Pietro Poppi, whose photography agency was famous for its pictures of urban sights and art works, among which a huge quantity of sculpture works in the Certosa. The two monuments chosen by Freud are two works by Carlo Monari (1) and by Augusto Rivalta (3) respectively. Carlo Monari (1831-1918), a pupil of Cincinnato Baruzzi, is one of the major Bolognese sculptors of the late XIX Century, in particular representing the “bourgeois realism”. He worked most of all in the Certosa and was commissioned a few public works as well. Freud purchased the reproduction of the Lanzi Bersani grave, made by Monari in 1883. The epigraph says that the monument is dedicated to Clementina Lanzi Bersani, here surrounded by her children; she got married twice and died “after nine lusters of her age lived virtuously ”. 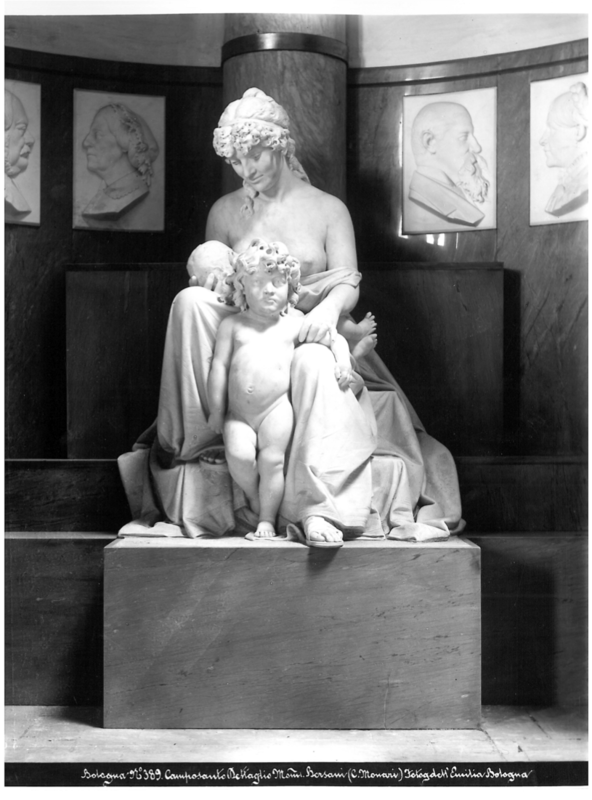 Augusto Rivalta (1935-1925), pupil of Giovanni Duprè, followed the “realism trend” and executed many celebration monuments in Italy, working especially in the Staglieno Cemetery, in Genoa. 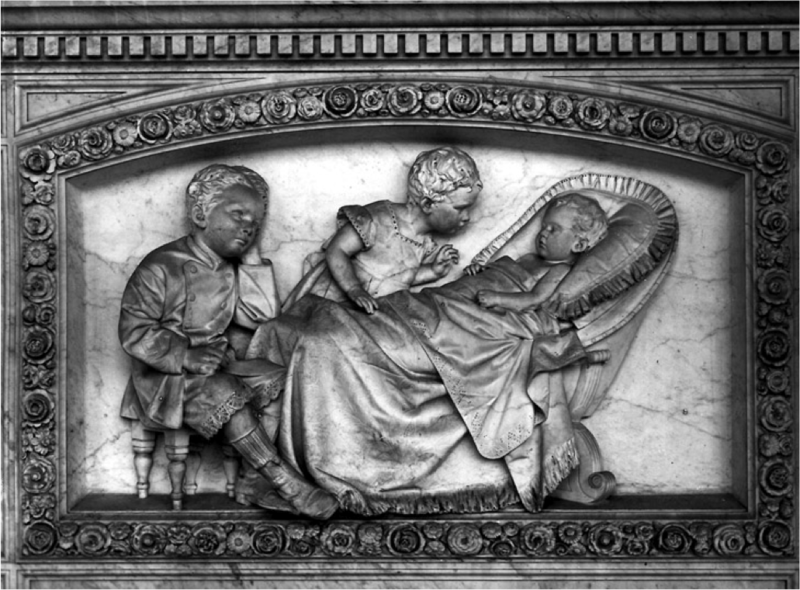 In the Certosa, he executed the monument of Achille Minghetti (3), to be dated around the year 1872; the work celebrates the premature death of one child of the family; the little brothers are described in an extremely detailed way, both in their postures and in their clothes. 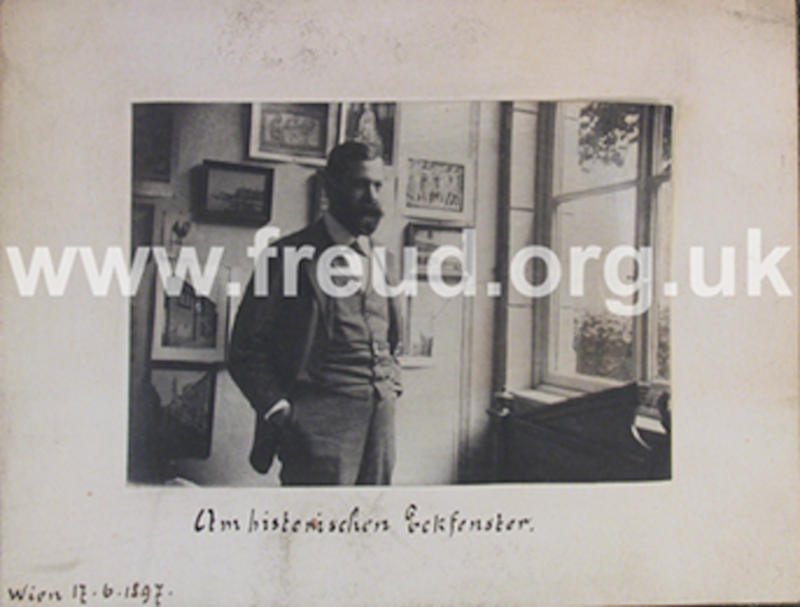 We do not know the very reason that pushed Mr. Freud to buy these two photographs, we can only suppose that they relate to his well-known interest for “man facing death”, a subject about which he wrote a lot. His most famous works, such as Mourning and Melancholia, dated 1917, or Current considerations on war and death (1915), only to mention a few, all deal with this matter quite extensively. Among Freud’s Italian destinations, beside the Certosa, there’s also the Staglieno Cemetery, which he’s been reported to visit in 1905. Trying to hazard a different explanation, we can focus on the subjects pictured: in both scenes the protagonists are children; during the months when Freud made this trip, his sick father got worse again and would die within shortly. This guess is definitely a little hazarded but the choice of the subjects might be somehow connected to personal reasons, taking into account that Freud himself states that his father’s death has left deep scars and caused many different reactions in him, like his decision to start an art collection. In that period he writes to his friend Wilhelm Fliess: “I decorated my studio with plaster copies of Florence statues. To me, they’ve been a source of great renewal and comfort.” In December 1896 he purchases the firsts objects, exactly two months after his father’s death. Also the typology of antiques he prefers can be related to the loss of his father; almost all the pieces are from graves, most of all sculptures, especially Egyptian but also Greek, Roman and – in the last few years – Chinese. It’s worth noting that Freud’s life period coincides with the birth of modern archaeology (the first findings by Schliemann date in 1873) and the newspapers of the time extensively described these discoveries. In the 1890’s he would even describe his new therapy using a similarity with archaeology to, explaining how repressed memories are brought to light again like an antique. Considering Freud’s interest for archaeology, he is likely to have been pushed to visit the Certosa also to see the excavations made by Antonio Zannoni in 1869, a huge work to bring the old Etruscan cemetery back to light. On his first day in Bologna, Freud visits the Archaeological Museum, set up a few years earlier (in 1881), and in this place he certainly sees the relics found out in the Certosa. Also in this photo (2) we can have a hint of how his art collection might have been at the beginning. It’s the year 1897, for some months Freud has been purchasing plaster casts (officially approved), as well as engraving works by old masters, all inexpensive objects. We can also deduce that although these are mere copies of monuments and places he visited, to him they have the same importance as the original works; as a matter of fact, they are located on the wall, in some cases are even provided with a frame, just like if they were paintings. This study of mine started by scrolling the web pages of the Freud Museum of London, and afterwards, reading the travel letters sent by Freud to his wife, I recognized the two monuments of the Certosa in Bologna.